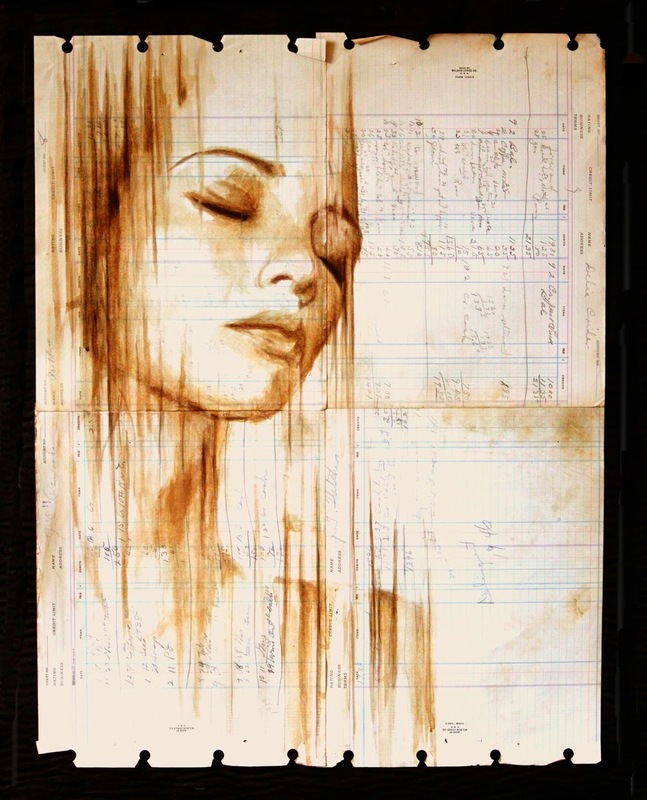 This is a set of beautiful Paintings, even though most of these minimalist Portraits don't have open eyes, they capture the incredibly realistic expressions of the models that posed for these art pieces. 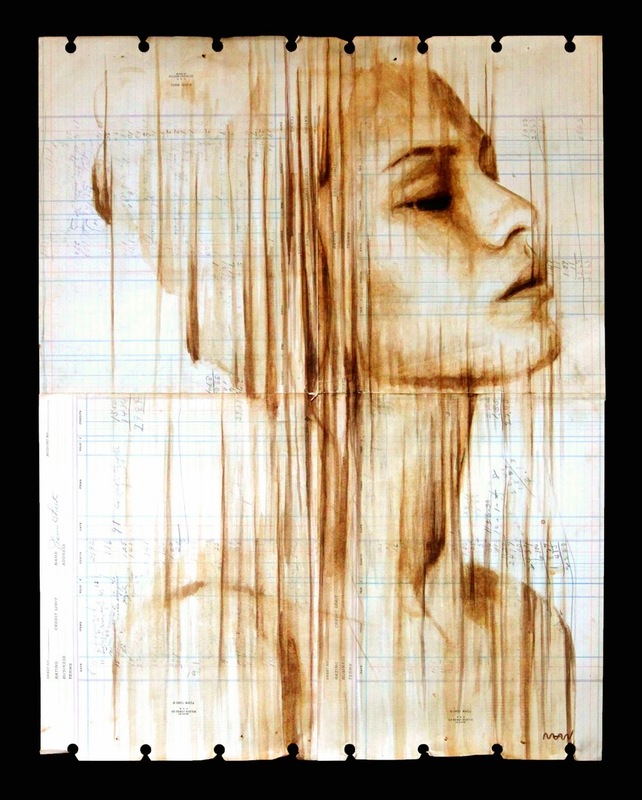 We have included large images in the Article (just press the image to enlarge, but not the first one) so that you can appreciate the power in a painting purposefully lacking the details of a Photo-realistic drawing. 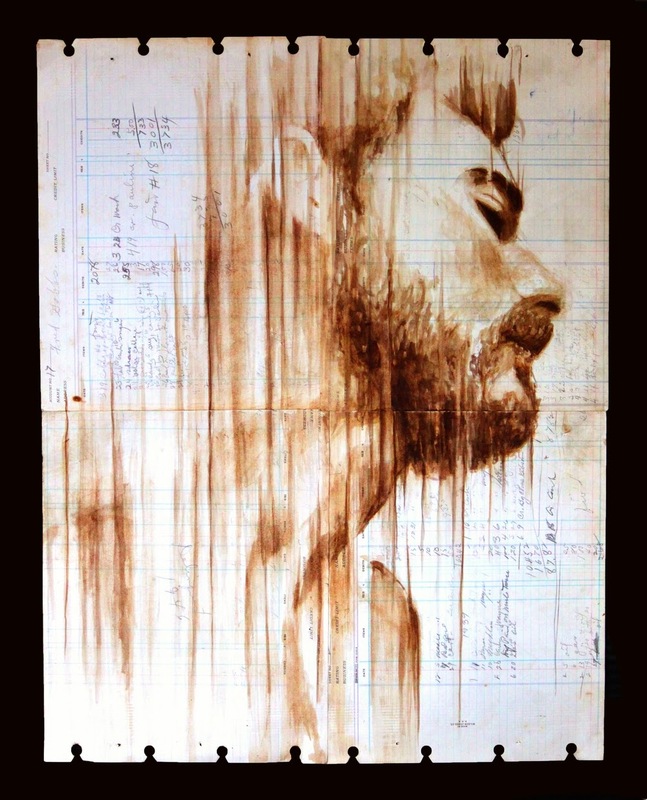 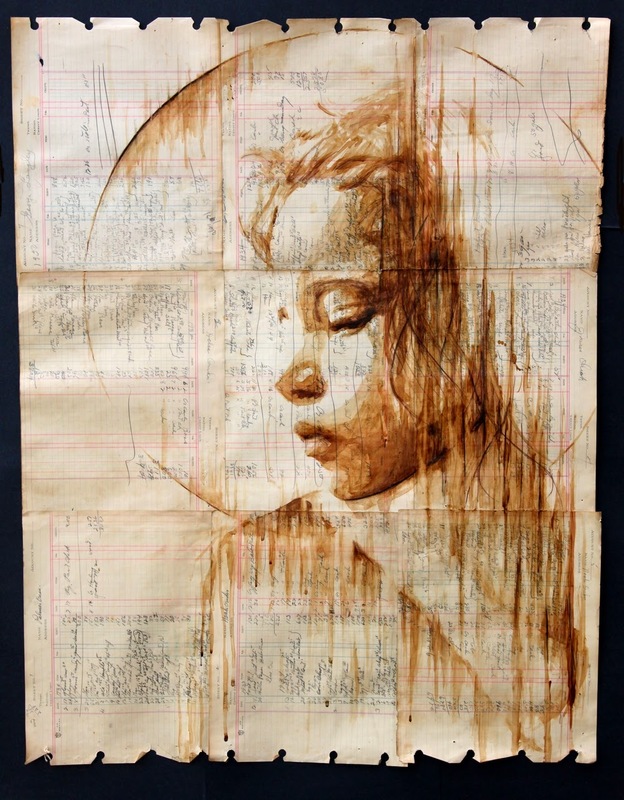 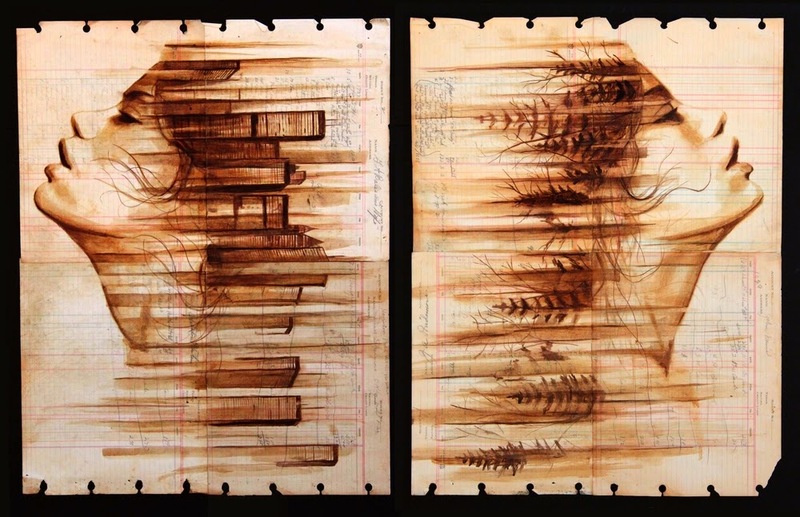 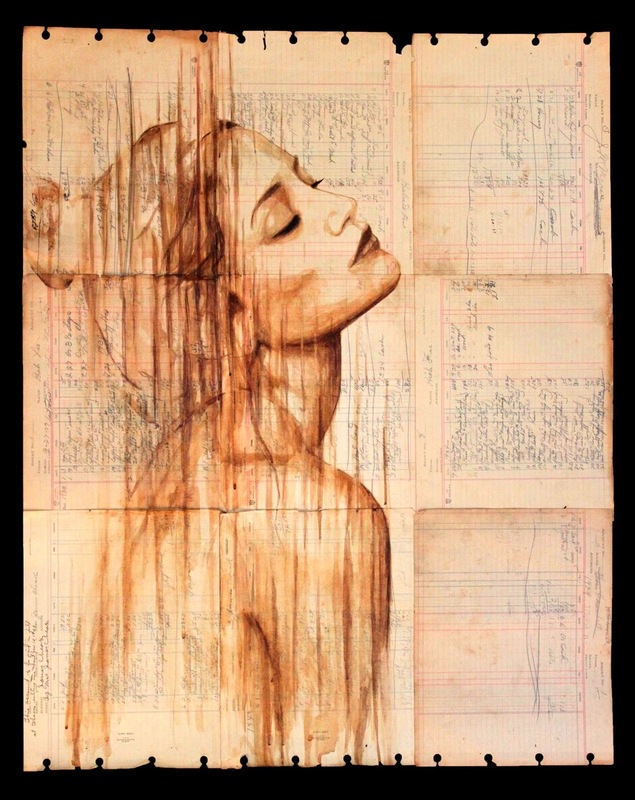 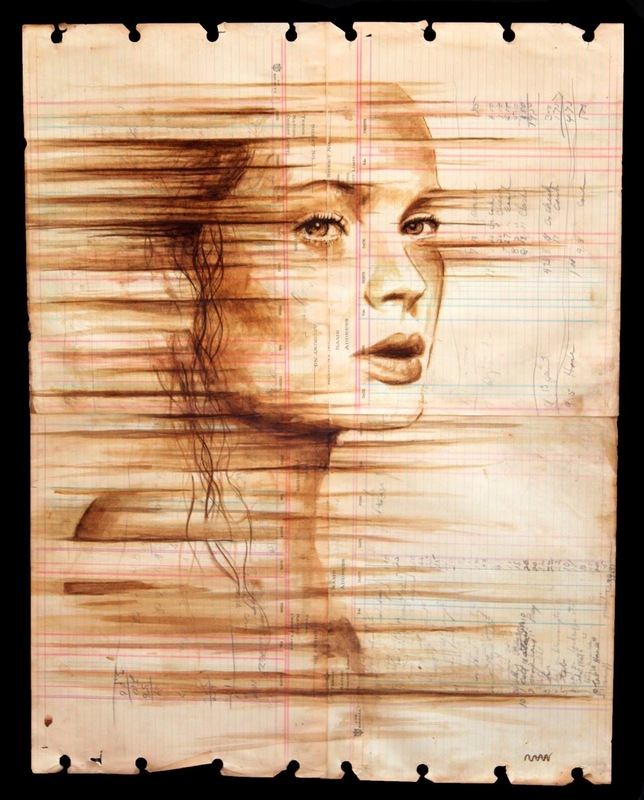 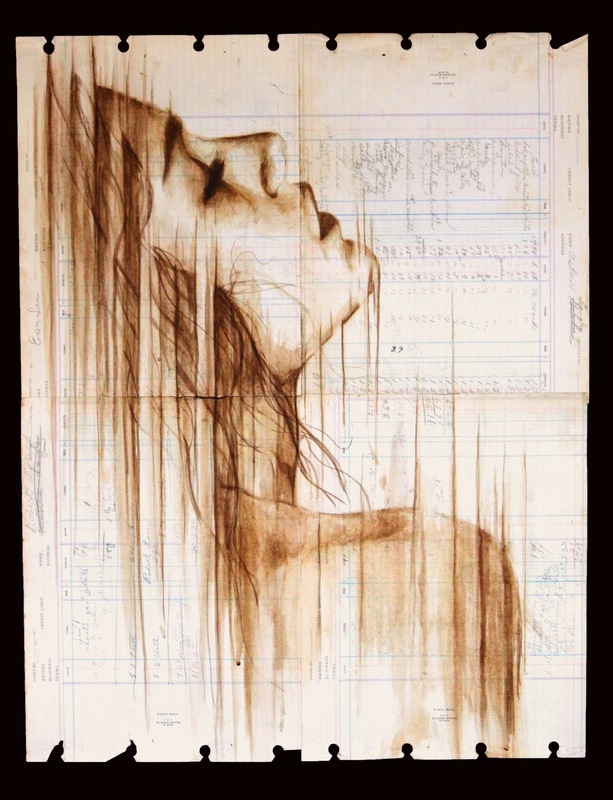 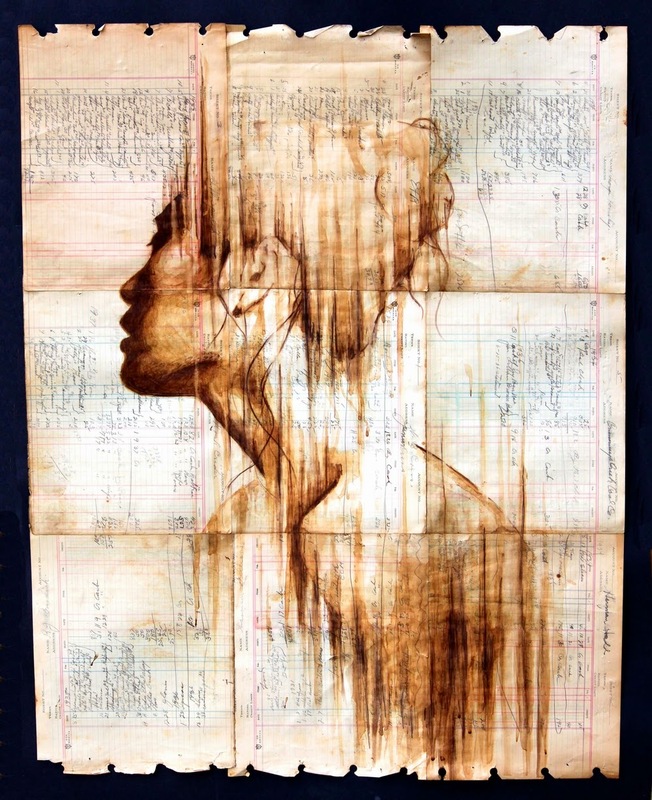 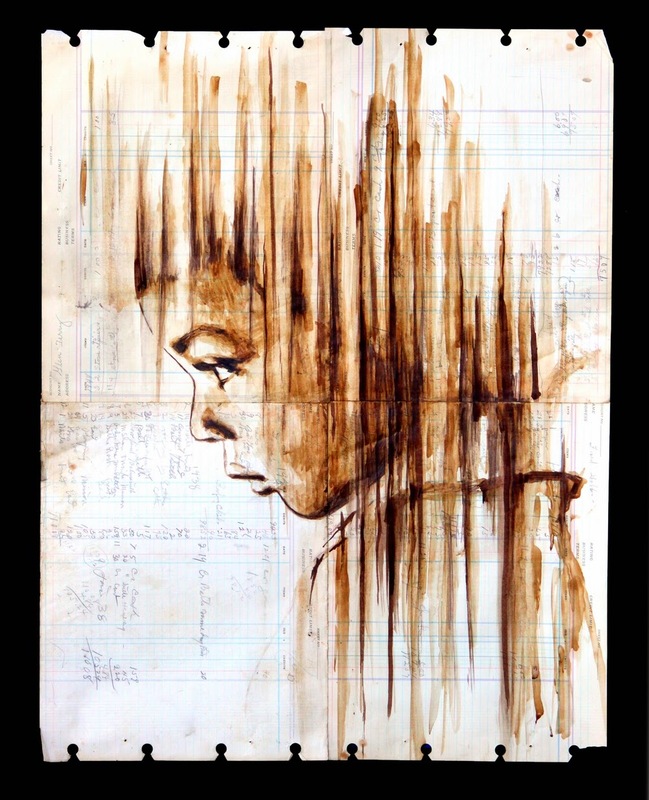 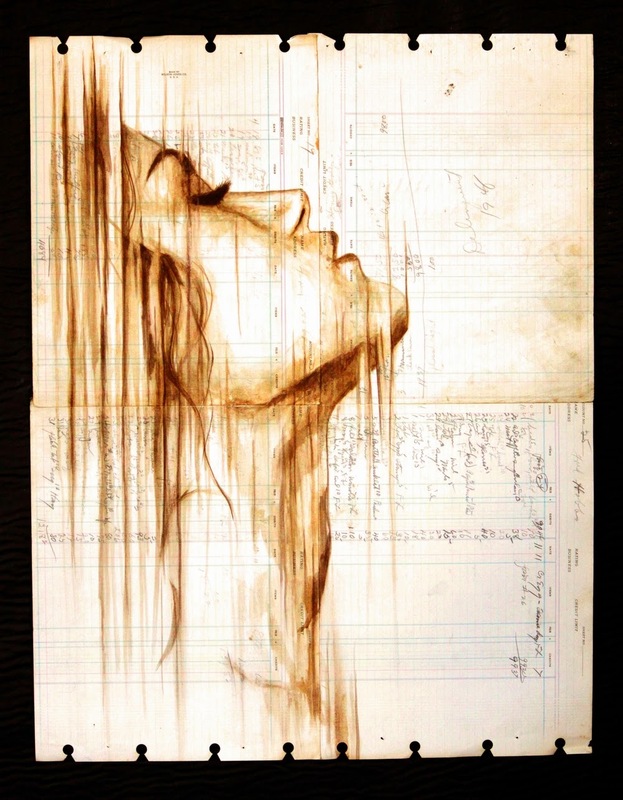 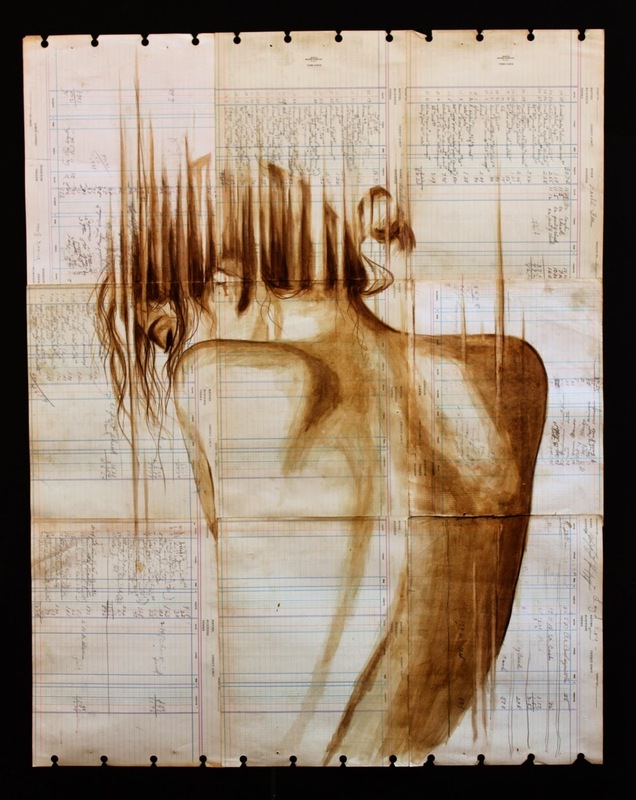 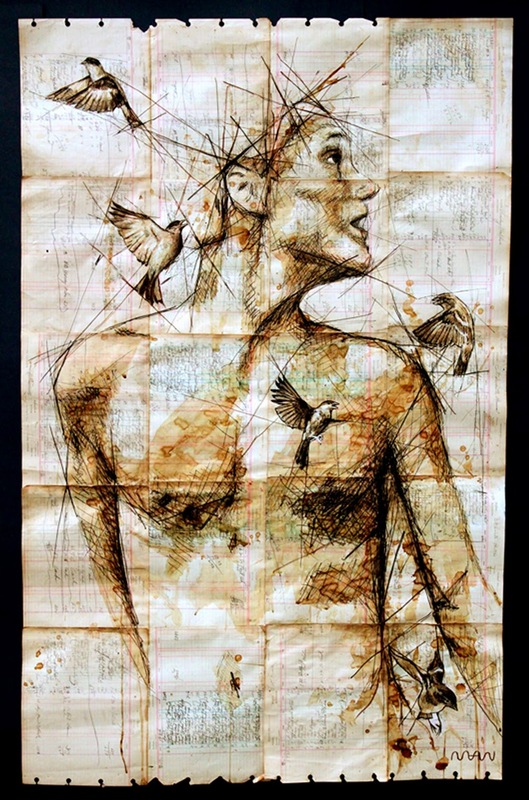 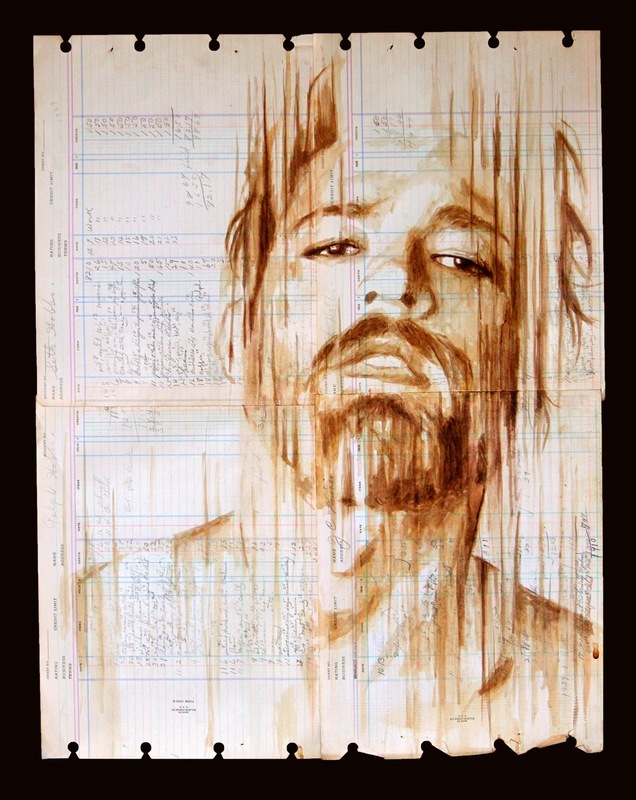 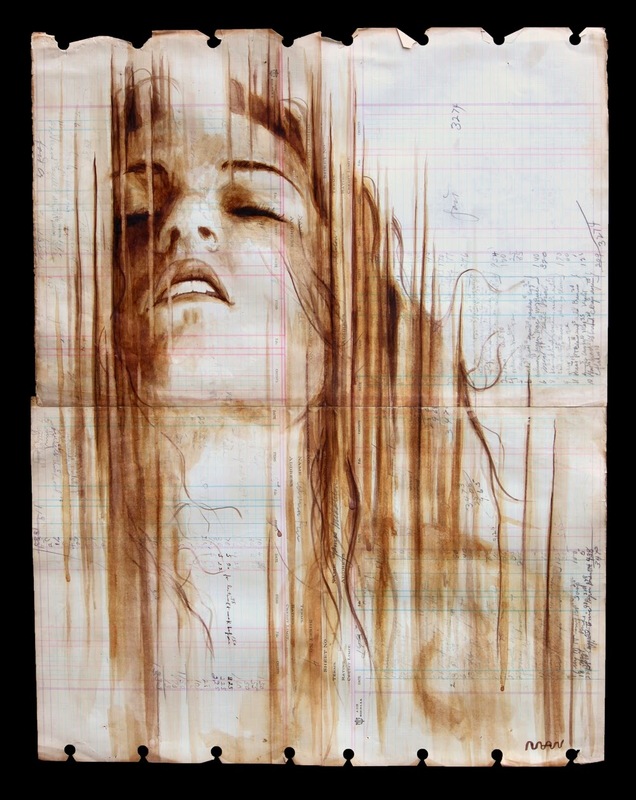 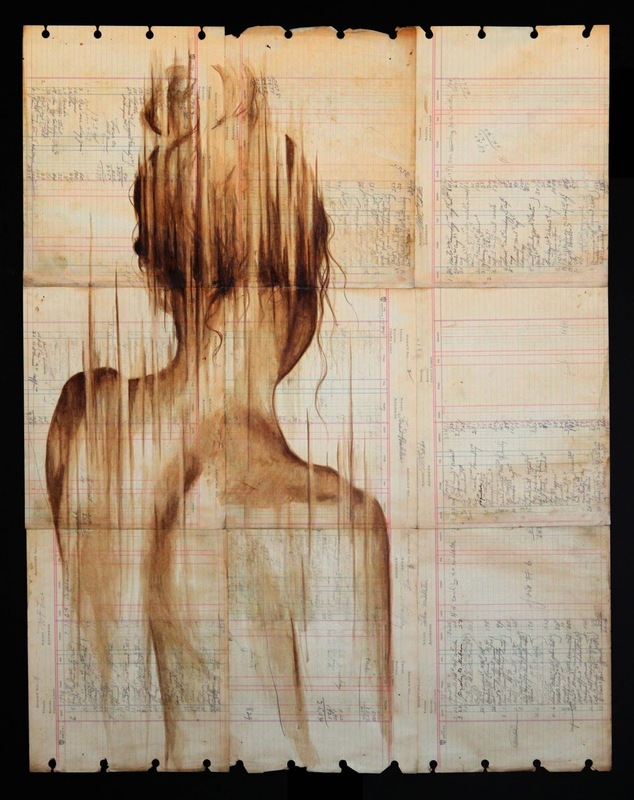 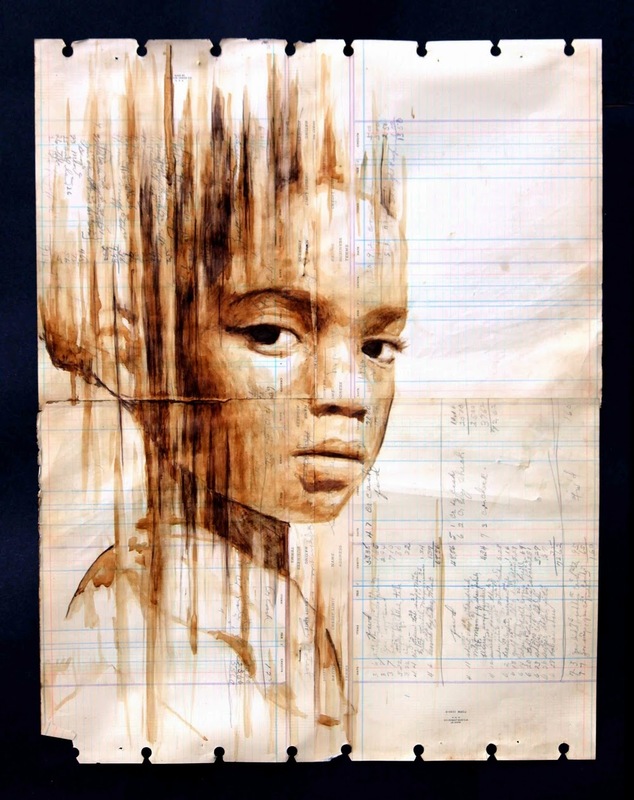 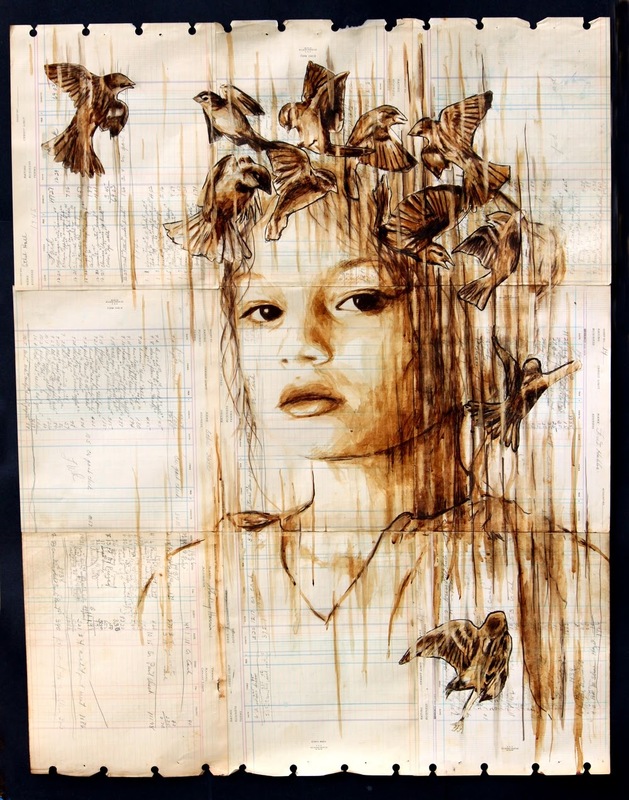 Michael Aaron Williams uses Coffee with a bit of ink on a 100 year old ledger paper, to bring these portraits to life. 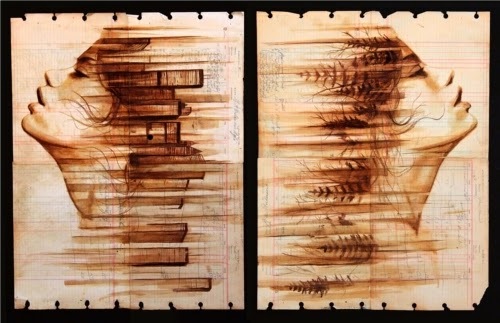 The parallel striations convey the impression of movement, whether they are going to fully materialise on the page or they are in the process of taking off is up to the viewer to decide. 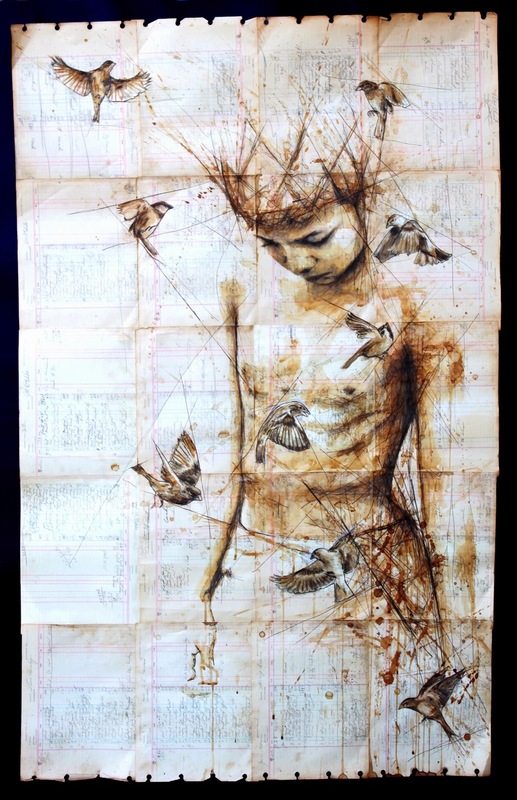 If you see in these paintings what we do you will really enjoy them, let us know at the bottom what you think.